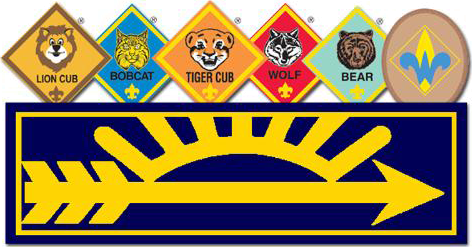 The BSA has made it easy to get trained by putting all the introductory courses for Cub Scout leaders online at my.scouting.org. Tiger Den Leaders: working with 1st graders. Webelos Den Leaders: working with 4th and 5th graders, or 10 year olds in the LDS packs. B. Cubmasters – the leader of the Pack! Pack Committee Challenge: for the committee chair, the Pack Trainer, the members of the committee, and all those parents who don’t yet have a specific job. Pack Trainers conduct or facilitate the training of leaders and parents in the pack. For Lion Den Leaders, working with kindergartners: Everything you need to lead the den meeting or outing is in the Lion Parent and Leader Guidebook. Each time you take on a new job in the pack, you should get trained for that specific new position. Assistants and “helpers” should take the training for the position they are assisting. This is designed to help you keep our youth safe from abuse. It covers the BSA’s Youth Protection Guidelines, the Guide to Safe Scouting, signs of abuse, and how to report suspected abuse. It is required training for every leader before registration, and it must be renewed every two years. Click here to contact our Training Chair to find out when you can train all your pack’s leaders and parents. Individuals can also take this training module online at my.scouting.org. TRAINING ON THE ROAD. We can usually provide instructor-led training for any of the other courses, including the on-line courses. These courses will be scheduled at the convenience of the requesting unit if half a dozen leaders can be registered. Usually, we ask that leaders from other units be invited to attend, too, to provide as many training opportunities as possible for our adult leaders. Interested? Click here to contact our Training Chair about arranging this type of training for your pack leaders. Once you have completed your basic training sequence, the next step is Wood Badge, the advanced leadership training program for all adult leaders in the BSA. It is intended to increase leadership skills for Cub Scout, Scouts BSA, and Venturing leaders, as well as council and district leaders. Click here to find out about Wood Badge for 2019.